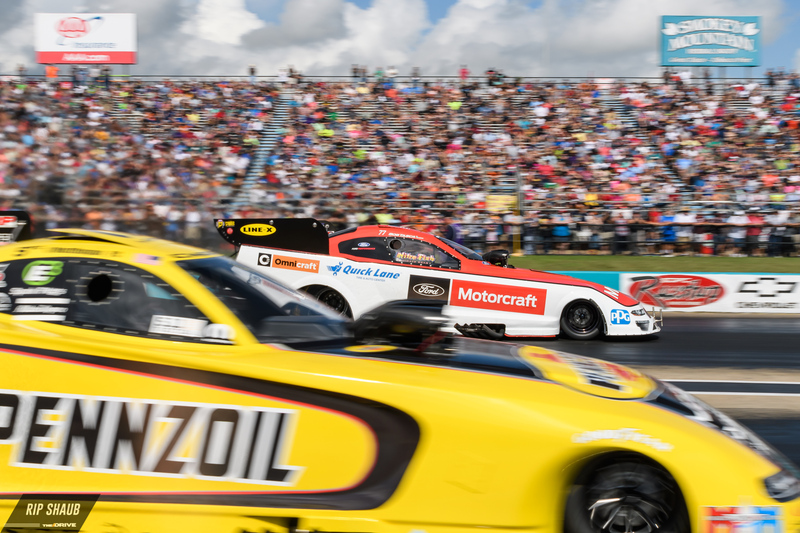 Ask anyone who's been—NHRA races are the most audibly abusive events in the motor racing world. 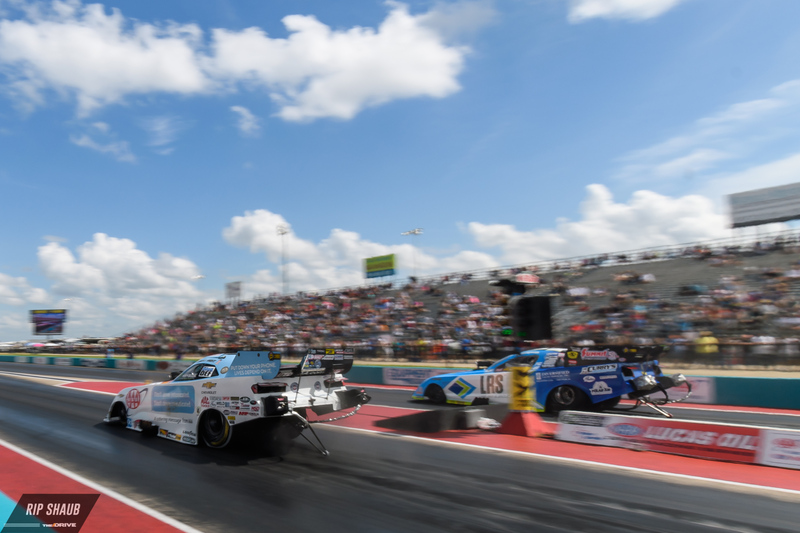 From the thundering walls of Talladega Superspeedway to any slide-crazy Formula Drift event, nothing else can near the sensory extremeness of when you face 10,000 horsepower, purpose-built machines blasting down the quarter mile. 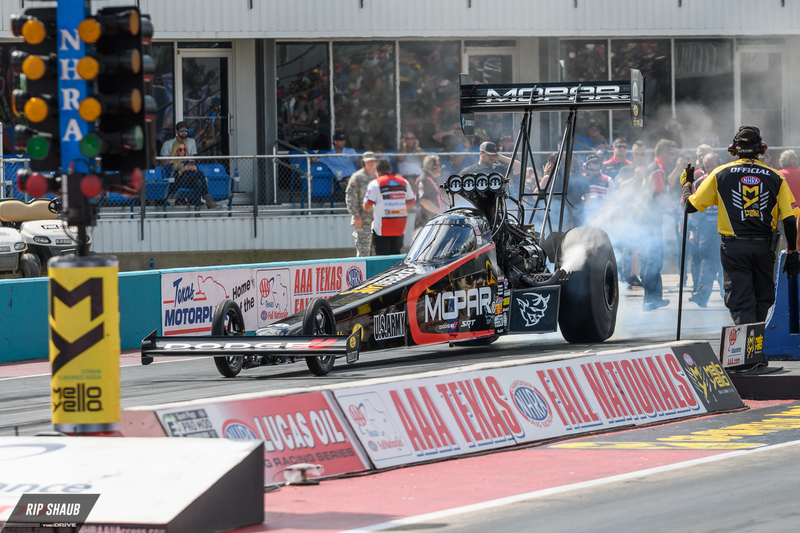 The series runs across the nation, but one of the year's largest gatherings takes place at Texas Motorplex when teams and drivers join for the annual Fall Nationals. The Drive was there for the event's 2018 running, and while we were strolling around the land of superchargers and V-8s, we captured the cars on camera and have compiled them here for your viewing pleasure. 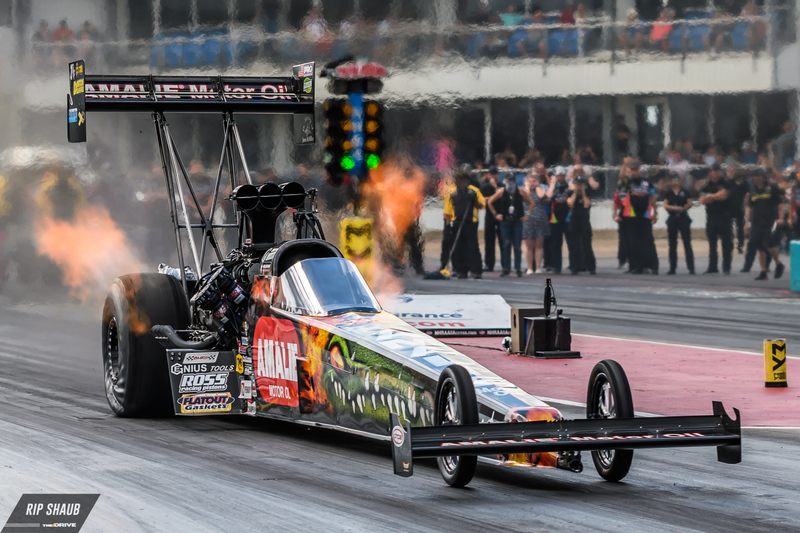 Steve Torrence runs a 3.786-second quarter at 325.92 mph. 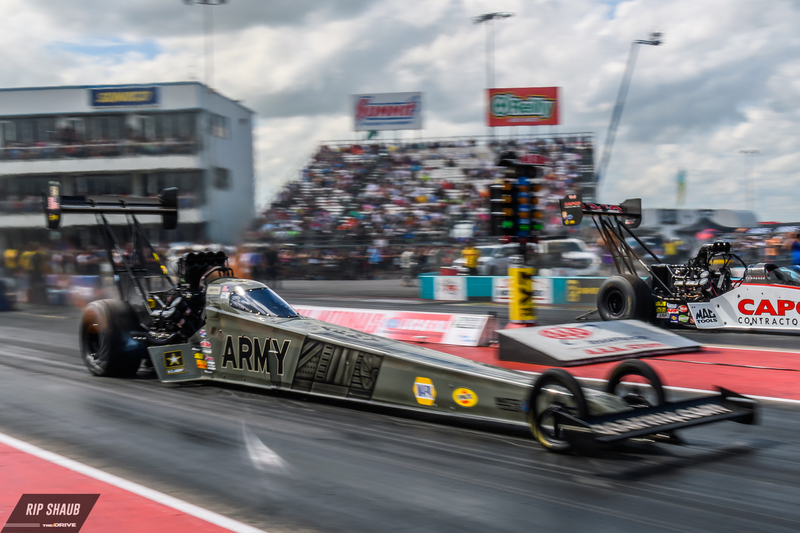 Steve Torrence is a hometown favorite who's got plenty of history at the NHRA Fall Nationals. 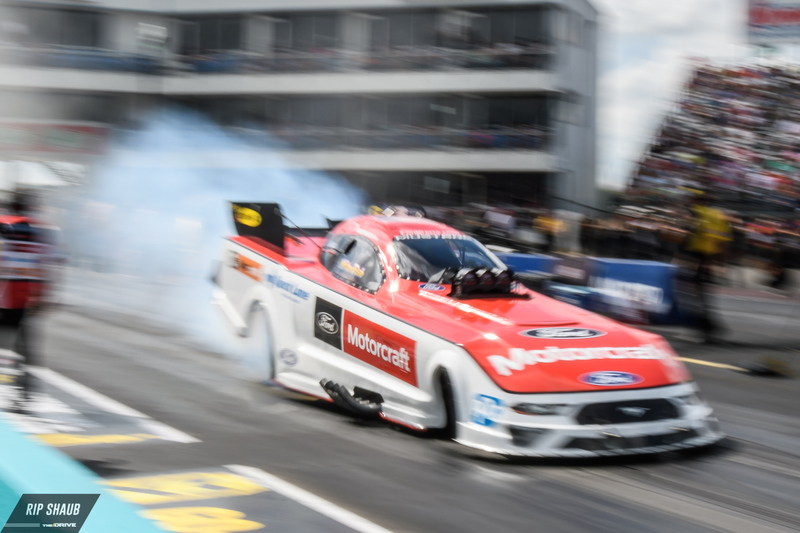 He was stymied in 2017 after a major crash set him and his team back, forcing them to rebuild his car in only an hour before losing out to Brittany Force for the overall win. 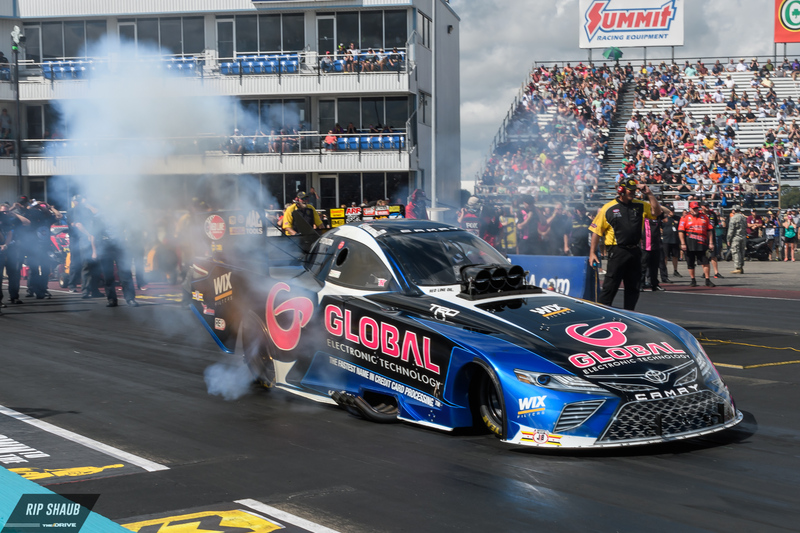 This year, however, he was in form to redeem himself as he took the Top Fuel class victory. Throwback dragsters rock, don't they? 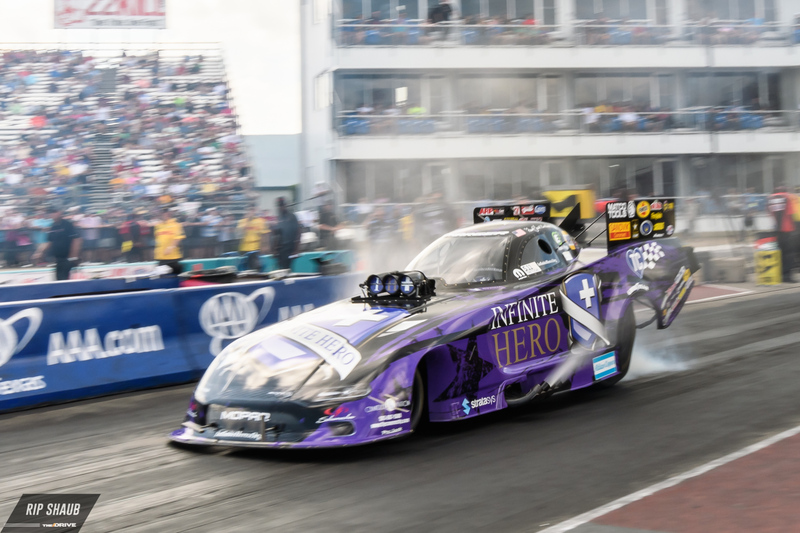 This car, honoring the late great Tom "The Mongoose" McEwen, pulls its front skinnies off the ground without issue—of course, that's pretty easy given its power-to-weight ratio of nearly 5,000 horsepower per ton. 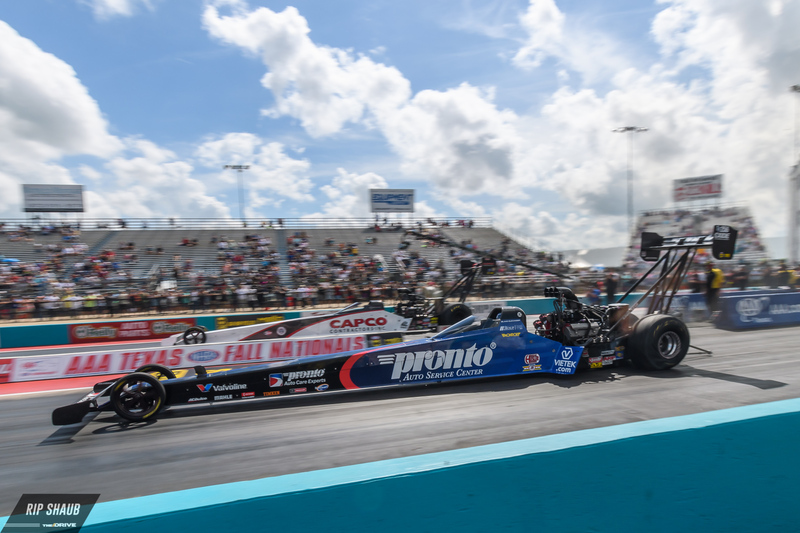 Robert Hight reigns supreme with his second consecutive NHRA Fall Nationals Funny Car victory. 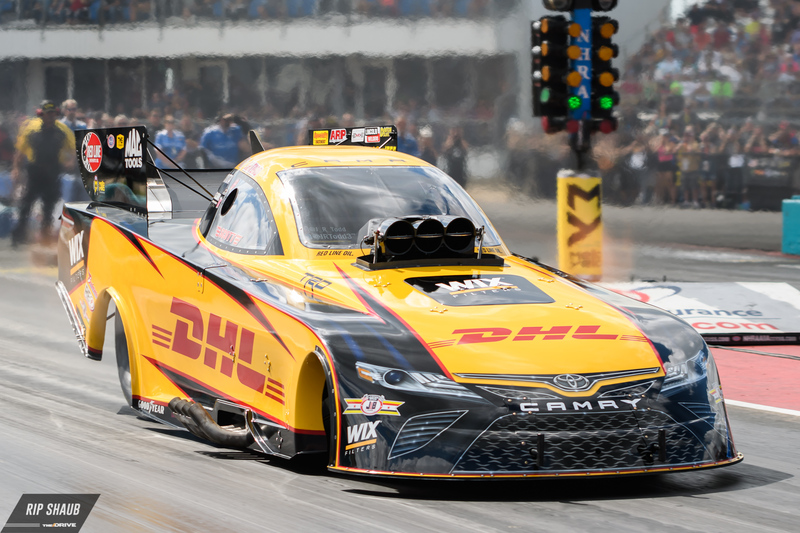 Running a 3.955-second quarter-mile at 325.69 mph earned Hight the win over his closest competitor J.R. Todd. Courtney Force pilots the pink camouflage Chevrolet Camaro for Breast Cancer Awareness Month. 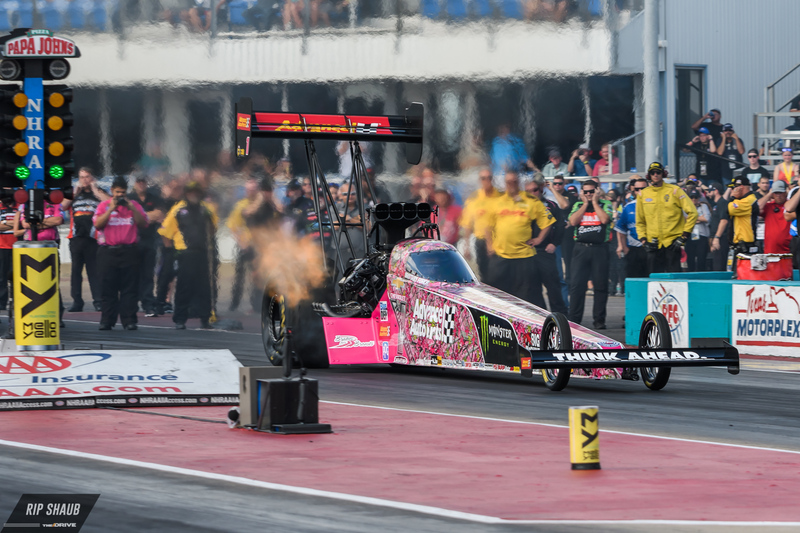 Courtney Force, daughter of drag racing legend John, competes alongside her sisters Ashley and Brittany at NHRA Fall Nationals. 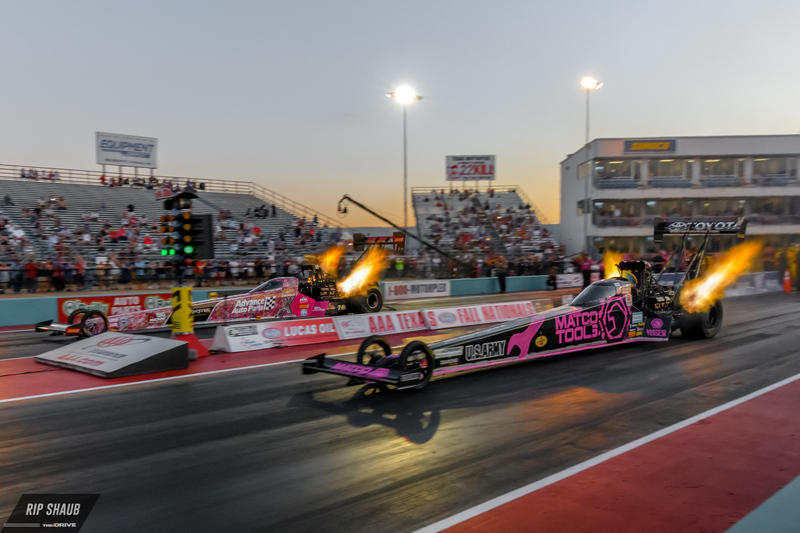 Stay tuned for more from The Drive's Chief Motorsport Photographer, Rip Shaub, as we highlight the stellar details of drag racing in the Lone Star State.